A look back at 8 centuries of Jewish history in Munich; from the middle ages (the Blood Libel), to the 16th century when they were blamed for the black plague. Learn about important Jewish figures who left their mark on the city`s history including Heinrich Heine, Lion Feuchtwanger, Albert Einstein and Kurt Landauer, and how this would eventually be brought to an end as Hitler came to power in 1933. Hear how the Holocaust began when the pogroms of 1938 were announced at the Munich town hall by Joseph Goebbels. 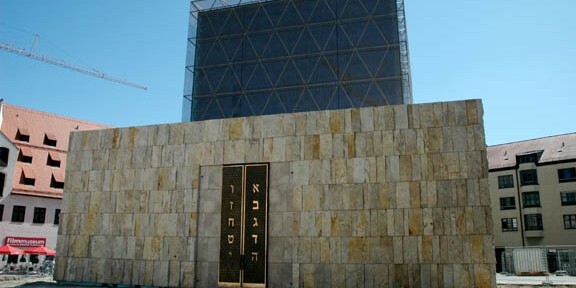 In 2006 the new Ohel Jakob Synagogue was opened in St-Jakobs-Platz, 60 years after the downfall of the Third Reich and the Holocaust, which marked the beginning of new era in Jewish life in Munich. Today there is thriving Jewish community in Munich with approximately 13,000 Jewish people living in the city. Tour price: Euro 160,00 (2- 2.5 hours) for up to 5 people. For groups of 20 or more people a surcharge of 30 Euro will be added.